Welcome to 2220 Cheltingham Blvd Lansing, MI 48917. This immaculate home is located in Cambridge Manor & sits a huge lot! This 4-5 bed 3.5 bath home is true luxury from the elegant foyer with gorgeous chandler to the stunning windows in the family room illuminating the room top to bottom. Main level family room also features a gorgeous marble gas fireplace and newer carpet. Huge kitchen features newer appliances, island, generous amount of counter space, and newly refinished hardwood floors. Continuing on you will find the master bedroom bath suite with enormous walk in closet and large windows that provide a great view of the huge backyard. Master bath has double sinks, separate shower, walk-in closet & lovely tub area with half-moon window. Main level also features a formal dining room, study with beautiful built-ins, and sliding glass door off the dinette leads to the large deck! Heading down to the oversized lower level you will find a luxurious floor plan, with an additional family room, floor to ceiling windows in 2 rooms 4th bedroom, full bath, workshop, and walk out to the enormous beautifully landscaped backyard. That’s not all attached 3 car garage has plenty of room for all the toys. For additional information and photos on this property click here! 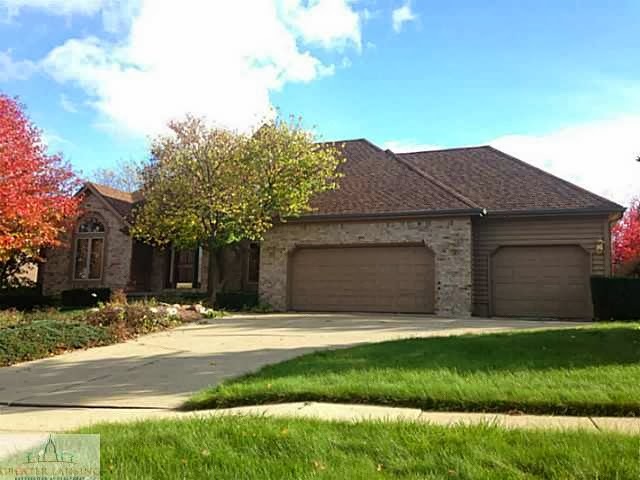 Posted on October 28, 2013, in All Other Listings, Home and tagged 2220 Cheltingham Blvd Lansing, MI 48917. Bookmark the permalink. Leave a comment.